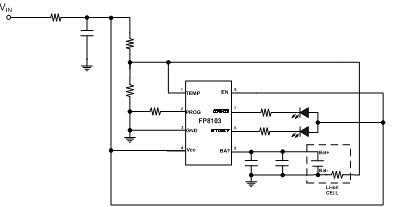 The FP8103 is a standalone linear Li-ion battery charger with exposed pad SOP8/MSOP8 package. With few external components, FP8103 is well suited for a wide range of portable applications. Charging current can be programmed by an external resistor. In standby mode, supply current will be reduced to around 55uA. Other features include UVLO, automatic recharge, charge status indicators and thermal regulation.